We all have dreams, wishes, and hopes for the future… and a desire to accomplish certain things in our lives. We hope someday we will get a break and “it” will magically happen, right? As time goes by, sometimes we find ourselves burdened with daily life and we realize those dreams don’t come easily. Sometimes it feels like everyone else wants what we want (but they don’t). Others can do what we do (but they can’t). Maybe we’re really not that unique (but you are). The odds of being seen, heard, discovered or selected for a specific opportunity may seem slim – So, how do you make yourself stand out? How do you get noticed in a positive way? 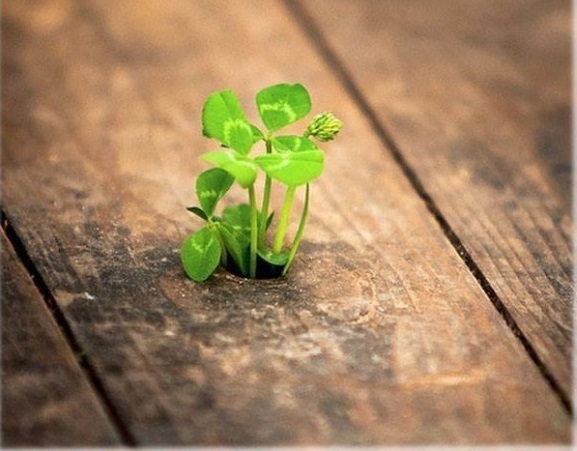 You apply some creative inspiration to your situation. You give yourself an edge. You work smarter and you get a little scrappy! It’s shocking how easy it is at times, to be lulled into complacency by the monotony of similarity. Products, services, messages, even people, are somehow all the same. We are hungry for and thrilled by the imaginative entrepreneur or artist who gives us cause to pause and say, “wow, that was good”. So, getting scrappy is about stepping into the space of being clever, fun, and unique – giving yourself permission to be the exception and not follow the herd, but rather look for and actually create windows of opportunity to showcase your differences and your ideas. The impetus of a scrappy mindset often begins when a person (insert you) might admit that you may be a little bored, that you haven’t been pushing yourself to “use your voice” and “live your dream” — not just checking the box or “living the dream someone else has for you”. Maybe it’s time to make small but powerful changes in your approach to your vision of your future. It’s not easy at first, but it’s worth it. The challenge is to assess the roadblocks in your path and figure out how to get around them. 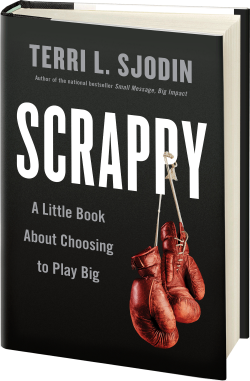 Being scrappy is about making things happen, getting in the game, and going for it. There are countless examples of legendary “Scrappy Stories” – of now famous entrepreneurs like Steve Jobs, Mark Zuckerberg, and Oprah – but there are many more non-famous people pulling off incredible scrappy stories everyday: Steve Schussler’s story of how he created and launched “Rainforest Cafes” (he built the prototype of the restaurant by converting his entire home into a rainforest), Roman Tsunder’s backstory of the creation of PTTOW! (how he was able to get his Holiness the Dalai Lama to speak at his private event), and even the young enterprising Girl Scout who set up her table to sell cookies in front of the legal marijuana dispensary—that’s scrappy! In this life, excuses abound, and most people will let you use them. So seek out and learn from people who rejected those limiting beliefs about themselves and forged ahead. You will find that a common trait of those who have attained their “crazy dreams” is that they all refused to give up and ultimately accomplished seemingly ridiculous goals. #2: Get Out of Your Own Way! We all have dueling voices inside our head. There’s the snarky one that says, “You’re probably not going to win, so why even try?”, and there’s the sweet, scrappy voice that says, “You can win and should never give up!” Unfortunately, the snarky voice is the one that most often has our attention. It whispers its message of doubt into your ear. It’s obnoxious and steers you away from fulfilling your highest potential. Turning it off might not even seem possible, but you can drown it out. I encourage you to explore the stories of the everyday champions who weren’t “super brave” or “super creative” or “super confident”, but listened to that scrappy voice and reached their goals, both big and small. Scrappiness alone will not land you that appointment or win you that dream job. You have to be willing to invest time, intellect, money, and do the work – whatever it takes – to reach your goal. Being scrappy requires more than nerve and creativity, it demands due diligence. It is important to thoroughly research your prospects. You can explore their interests, needs, and past accomplishments to help completely grab their attention. Like anything worth doing well, a scrappy approach takes time and planning. Take the time to learn how to craft a strategy employing key resources in your life including colleagues, friends, family and your own creative instincts. It’s all about trial and error. If you set out on a journey, you will have wins and losses along the way. Failure is a fact of life, but it doesn’t have to signal the end of your quest. Failure – that maddening inability to succeed – often is just the beginning. Crashing and burning is always a possibility, but it’s in the recovery that we grow and improve. It’s OK to be unfinished, because maybe your idea or message is still cooking, still becoming. Remember: The victories that feel the best are the ones we claim after knocking down what seemed like an unbreakable barrier. When we have pushed through to the other side and creatively eliminated obstacles to reach our goal, those “wins” are somehow the sweetest. Why? That’s living! Now is your time. Go forward with hope and get scrappy!